Following my talks at the Canadian Society of Questers’ convention in Harrison Hot Springs, British Columbia at the beginning of May, I was invited to travel up to Vernon – about five hours drive north – to give an evening talk to the local chapter of the Questers, followed by a full-day labyrinth workshop on the shores of Lake Okanagan (home to the legendary lake monster Ogopogo – I gave greetings from Nessie!). During my stay in Vernon, as guests of Questers Fern and Jim Crook, I was asked by conference organiser Merlin Beltain to participate in a bit of earth healing in the Vernon valley in conjunction with the local team of ‘Gaia workers’. So it was that I found myself one morning in the company of Questers Joan, Kim and Jesse, standing on a viewpoint looking eastwards over the Vernon- Coldstream valley. 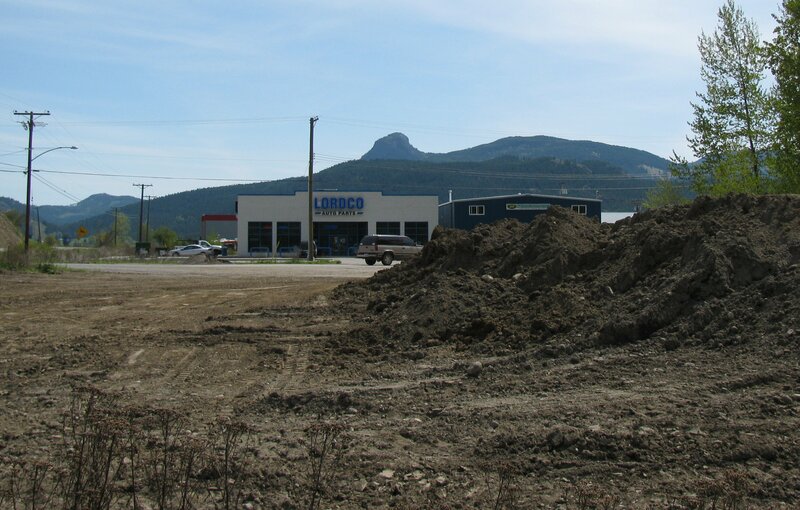 Merlin explained that they had previously done work on the area some years before with Vancouver-based geomancer Dieter Bay, a protégé of Marko Pogacnik. He had identified the main energy ‘fountain’ and ‘sink’ zones and they had cleared and re-established energy flows between these; however the group felt that there was still a blockage of energy over this particular valley that needed resolved. As we stood at a viewpoint overlooking the valley to the east, Merlin told us about some dreams she had where she had visions of ‘Jabba the Hut’ sitting athwart an energy line and laughing at her. “What, you mean like that hill at the end of the valley?” I asked, pointing at the ‘Camel’s Hump’ hill in the distance. The resemblance to Jabba the Hut was immediately obvious to everyone. It was clear that this was the source of the disruption; it seemed to sit at the junction of three energy lines and was clearly blocking the westward flow of one of them. The other two flowed to the Northwest and South-West, crossing the valley and running behind the hills at each side. Between, where there should have been a flow running towards us, the land appeared to be in deep shadow. Having established where we needed to work, and ensuring that we had permission from our highest ideals to work with the landscape; we set off to drive towards the Camel’s Hump and see what we could do. As we drove, we were tuning in with our pendulums and asking the land and our helpers for guidance on where we needed to be. 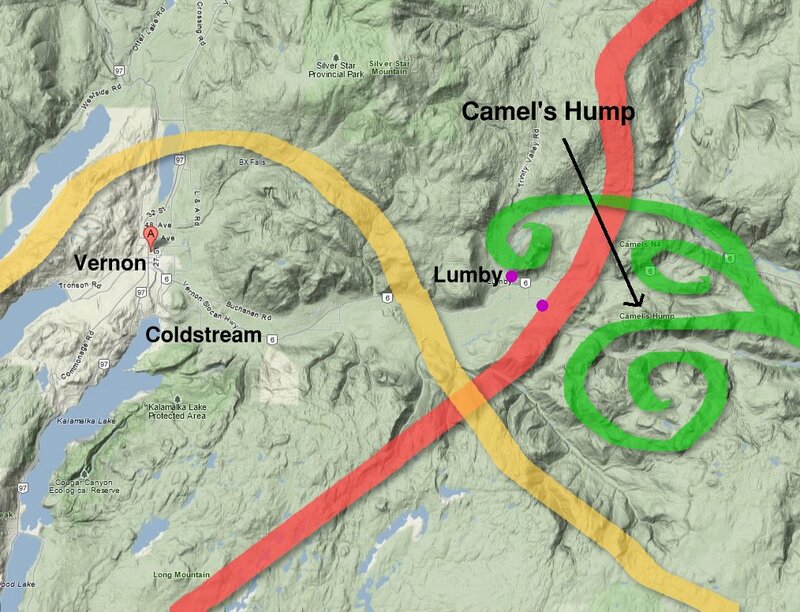 Some miles east out of town as we entered the town of Lumby, both Joan and I got strong reactions from our pendulums. I felt like there was a tautness or contraction about the energies in the town, and Joan said she felt short of breath. This would appear to be the blockage that we were seeking. 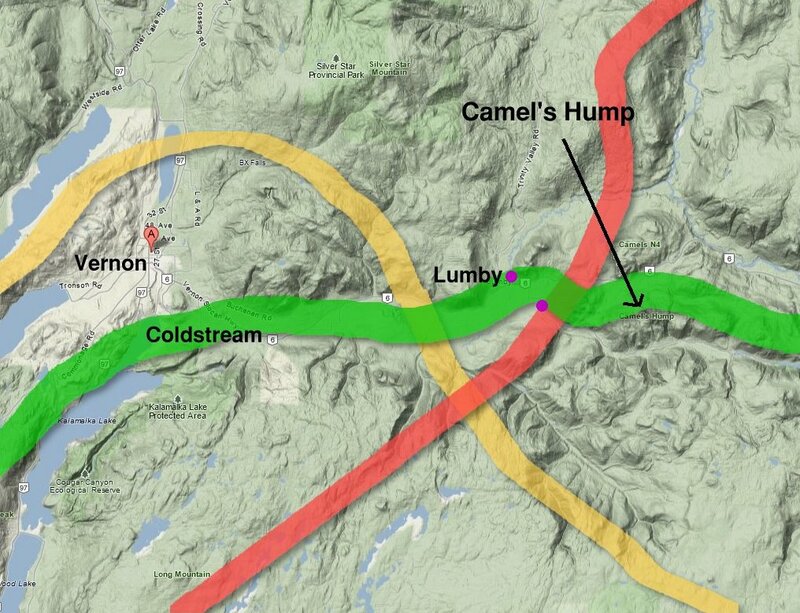 We drove through the town and turned off onto a side road that led up towards the Camel’s Hump, and didn’t have to go too far before we felt we had reached a spot where we could work, on a bridge over a small creek that ran back in the direction of Lumby. It dowsed as most appropriate to work with the water energy, which would hopefully carry our healing intention towards the town. Standing on the bridge, we asked permission to work, invoked the local spirit of place, and asked for unconditional love and healing energy for the highest good of all beings to be sent downstream to release the energy blockage in Lumby. As we finished sending energy, I made some offerings of flower essences to the waters, and having checked that we had nothing more to do, we set off back to town. On the eastern outskirts of the town there is a spot where three creeks join, including the one we had worked on. This felt like it should be a key node to work with the three dragon flows of the valley, so we parked the car and dowsed for the best place to work from. 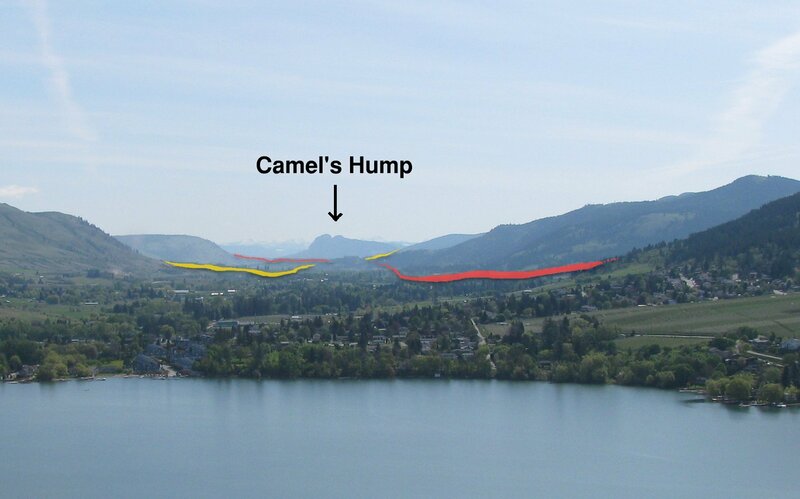 We were unable to get to the exact spot where all three creeks merged, but dowsing led us to a spot beside one of the creeks, between the town and a grim-looking industrial estate with a view of the Camel Hump behind. Here we made a circle, tuned in to the local spirit of place, and began dowsing again to check that our ‘upstream’ working had been effective. We all felt that the industrial estate had some part to play in the energy blockage and that some further work would be beneficial here (both spots where we worked are marked on the map). Joan and I were both using our pendulums to gauge the energy as we worked and were deeply engaged with the process. Suddenly I heard Joan exclaim “Oh!”, and at the same moment my pendulum instantly reversed direction. Surprised, I looked up to see Kim spreading what looked like the contents of a tea bag across our path. This turned out to be a blend called Zen tea, and it appeared to have instantaneously transformed the detrimental energies and released the blockage! Further dowsing checks confirmed this, and also that our work was finished. Excited, we stopped in the centre of Lumby for a final check, and found that the whole place felt much clearer and more welcoming. Job done! Even Jabba the Hut seemed happy as he looked over his shoulder at us when we left. The final map shows the restored energy flow. I think that was the fastest bit of earth healing I’ve ever seen, and all from a single teabag*. Needless to say, I now have some Zen tea in my dowsing toolkit! *It should be pointed out that the Zen teabag was merely a vehicle for Kim’s psychic healing energy, which was the real reason for the sudden release of the blockage. Nevertheless, it’s a marvellous metaphor for the healing process!